Join a vibrant ministry that is helping people all around the world come to Christ, grow in Christ, and change their world for Christ! Raise support for ministry programs and services. Follow agency protocol in the acquisition, cultivation, and solicitation of current and potential donors. Implement stewardship and generosity principles and fund raising program(s) as directed. Serve as an ambassador of the organization. As part of the Mission Advancement Team (MAT) assist in establishing short- and long-range goals/strategies for identifying funding sources. Manage an assigned list of donors, prospects, congregations and church related groups (e.g., VBS, Sunday school classes, women’s groups, etc.) from a designated geographic region for cultivation and solicitation. Visit with pastors, drop off updated materials, answer questions and conduct speaking engagements for groups as requested. Communicate and collaborate with members of Mission Advancement Team (MAT) on speaking events and display opportunities. Help acquire new donors. Compile and analyze information about potential contributors, including corporations and businesses, to develop a cultivation and solicitation strategy. Write, telephone, or visit potential contributors to inform and educate them about the agency and to persuade them to contribute funds or gifts-in-kind by explaining purpose and benefits of their gift. When necessary, confer with appropriate financial advisors to establish methods of transferring funds to benefit both donors and institution. Attend approved continuing education opportunities, i.e. relevant conferences or training programs. This position will spend a majority of their time (65%) working with individual donors and congregations and working on grant funding (35%).This position will either be based in Valley Forge, PA or it could be a deployed position. Bachelor's degree (B. A.) from four-year college or university; Preference is given to individuals with previous fundraising/development experience, an understanding of Biblical Stewardship and Generosity, and familiarity with American Baptist Churches. Minimum of 5-7 years of development experience with successful track record of having deepened relationships with existing donors (churches or individuals) while cultivating new relationships, preferably in a faith-based environment. Must have a track record of successfully identifying, applying for and securing grants. Passion for International Ministries and an ability to translate that passion into a personal and team-wide pursuit of IM’s fundraising goals. Requires high degree of integrity and excellent analytical, communication (written and oral including the ability to develop and write detailed reports), organizational and attention-to-detail skills. Evidence of global and/or cross-cultural experience preferred. Must be proficient with Microsoft products and comparable donor relations software. Competitive compensation package including employer paid contributions to a 403(b) retirement plan, healthcare benefits) and paid time off (vacation, sick leave, and holidays). Join a vibrant ministry that is helping people all around the world come to Christ, grow in their relationships with God and change their worlds with the power of the Spirit! Provide administrative support to ensure that the offices of the area directors (ADs) of Europe and the Middle East and of Southeast Asia and Japan are functioning effectively to serve the global needs of IM. Support the ADs in managing global personnel and activity relating to many IM partners. Oversee all the domestic and international travel arrangements. Facilitate activities of visiting partners. Handle the logistics of various events. Communicate extensively with domestic and international partners; provide up-to-date information about ADs’ work to board members, churches, clergy, lay leaders, IM staff, global personnel, overseas partners and Christian and secular agencies as requested. Keep abreast of ADs’ activities and provide reports as needed. Manage the budget and maintain accurate financial files. Fulfill tasks that will be related to the missions of both ADs. Coordinate activities related to global personnel debriefing. Be responsive to the needs of the Mission Partnership Teams. Passion for international mission. Bachelor’s degree with four years of administrative experience. Proficiency in MS Office. Excellent interpersonal, communication and diplomacy skills. Must be detail-oriented and possess the ability to work in a team environment. Ability to prioritize and manage multiple responsibilities. Ability to work in a multicultural environment. Competitive compensation package including employer-paid contributions to a 403b retirement plan, healthcare benefits (medical, dental and vision) and paid time off (vacation, sick leave and holidays). 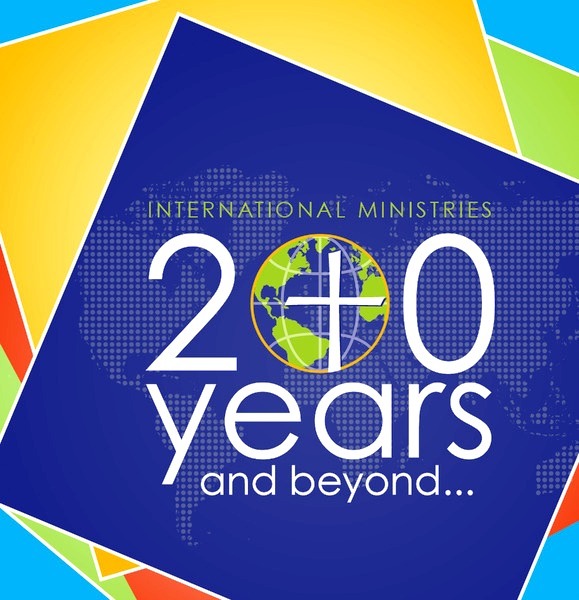 International Ministries serves more than 2,000 volunteer, short-term and long-term global personnel working in 70 countries. If you are ready to be a part of this dynamic organization, send a cover letter and resume as well as the names, addresses and phone numbers of three professional references to jobs@abc-usa.org. This posting will close on October 16, 2015. The Executive Director/Chief Executive Officer (“ED/CEO”) of The Ministers and Missionaries Benefit Board of The American Baptist Churches (“MMBB”) is responsible for directing the work of MMBB, administering its benefit plans and services, managing its assets, and providing leadership to the Board of Managers (“Board”) on policies and strategies to fulfill MMBB’s mission. The ED/CEO also serves as one of the National Secretaries of the American Baptist Churches USA (“ABCUSA”) and represents MMBB on the Board of General Ministries and the General Executive Council, and participates in establishing policies for the ABCUSA. Open the link below for more information (PDF file).